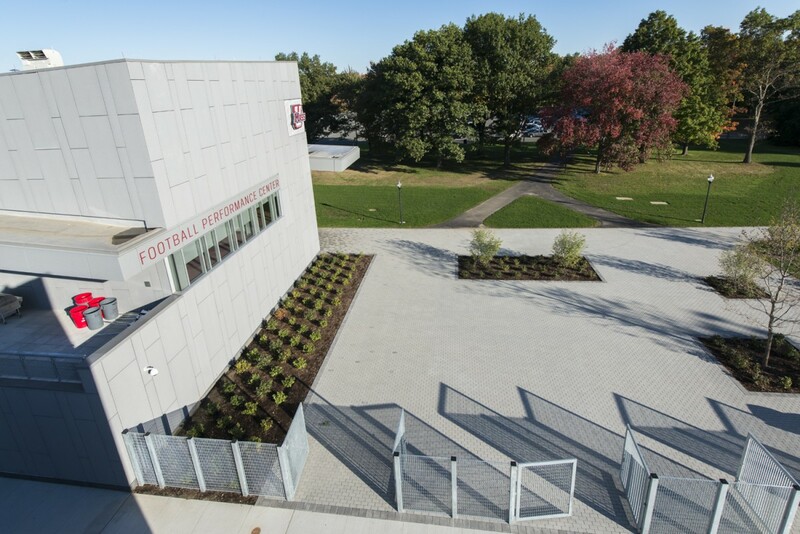 ST. PAUL, MINNESOTA, December 8, 2014 – The University of Massachusetts in Amherst recently opened its Football Performance Center, a 55,000 square foot facility representing the UMass Minutemen football program. Visitors are greeted by a hall of fame showcasing the university's 130-year football program as they enter the facility, located at the north end of Warren P. McGuirk Alumni Stadium. As part of the experience, the university sought an interactive kiosk to compile and present detailed information about the football program. A Carousel digital signage solution from Tightrope Media Systems was selected to address the challenge, featuring custom software-defined programming to bring decades of historical and current data together. The interactive kiosk catalogues an impressive array of details and statistics related to the storied football program, showcasing players, teams, coaches, seasons and accomplishments. The system reaches beyond the realm of football action, generating information about the bands, mascots and other entries supporting the teams over the years. In casting a wide net, it's assured that every visitor engaged with the kiosk will discover something of interest while controlling the touchscreen.  "We wanted a searchable system that delivered an interactive experience for current players, students, alumni, fans and visitors," said John Sinnett, assistant athletic director, University of Massachusetts. "We faced the significant challenge of finding a system that could centralize 130 years of information, make it interactive, and intelligently display a large amount of content in a sortable manner on demand. This is a homegrown system and we're not aware of another university that offers anything similar. There's no question that this was a steep hill to climb." Sinnett and his team soon engaged with Tightrope to generate a custom program for pulling historical and recent content from various online sources. Driven by intelligent, automated software-defined triggers and a central content management system, the Carousel solution manages a giant block of XML data, extensively programmed to ensure the right information correlates with the right targets.  However, Carousel's trademark ease of use also provides staff with an intuitive interface to manually upload content, ensuring that missing details from player numbers and headshots to game stats and team descriptions can be effortlessly edited or added on the fly. Most importantly, the varied and dynamically updating information gives everyone something to enjoy, increasing dwell times and generating a deeper connection between the user and the football program. Current Minutemen players and their families can follow seasonal statistics, while visiting alumni can look back at past achievements. 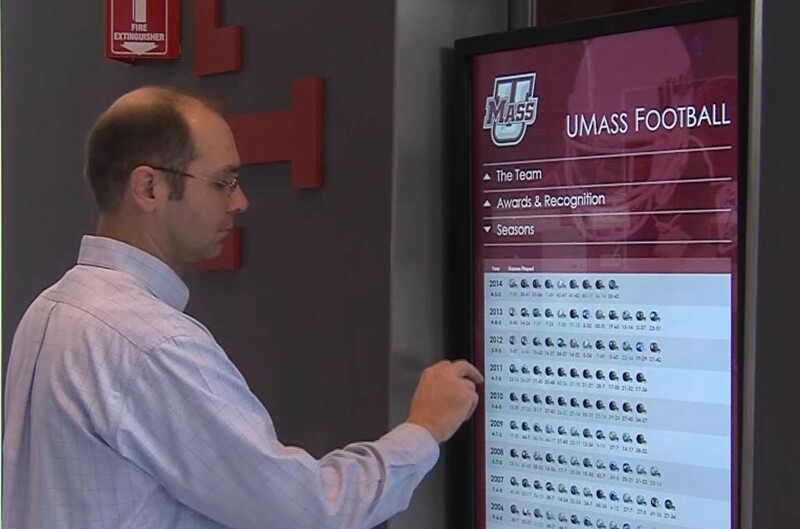 Sinnett also views the interactive kiosk as an intriguing recruitment tool, allowing prospective players to search which Minutemen have made NFL rosters, and which teams have made collegiate football history over the years. "The touchscreen is emblematic of the overall mission of the Football Performance Center," said Sinnett. "This venue ties in a large part of the program's history into a modern home that will be a future cornerstone of the program. Carousel is efficiently driving and disseminating information about the historical past and success of the program, while keeping visitors up to the date on the latest activities. Tightrope is helping us push that history forward, drawing in anyone with interest in our football program." The system is based on a scalable architecture powered by a single Carousel 330 server, capable of supporting 15 channels should the university choose to add more kiosks or displays in the future.